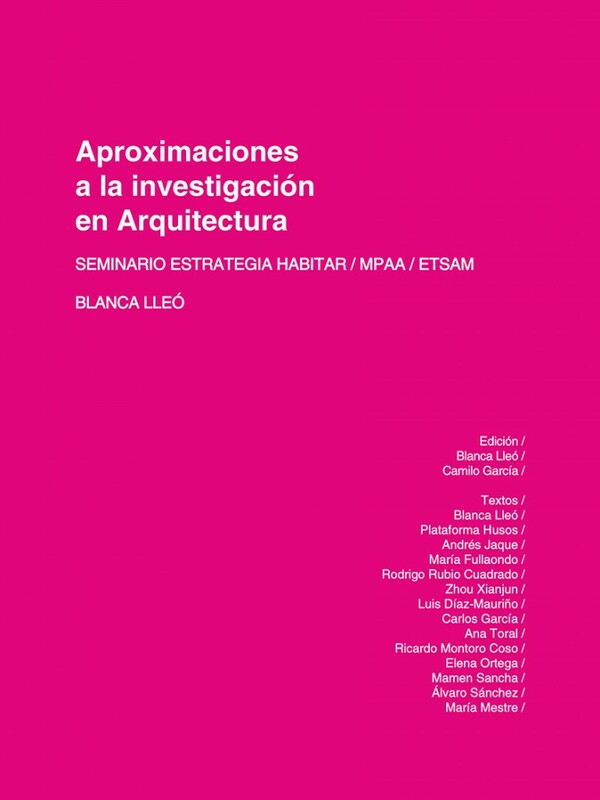 This book collects the work of students , staff and guests, Strategy seminar led by Blanca Lleó Inhabiting within the Master of Advanced Architectural Design MPAA Department of Architectural ETSAM . 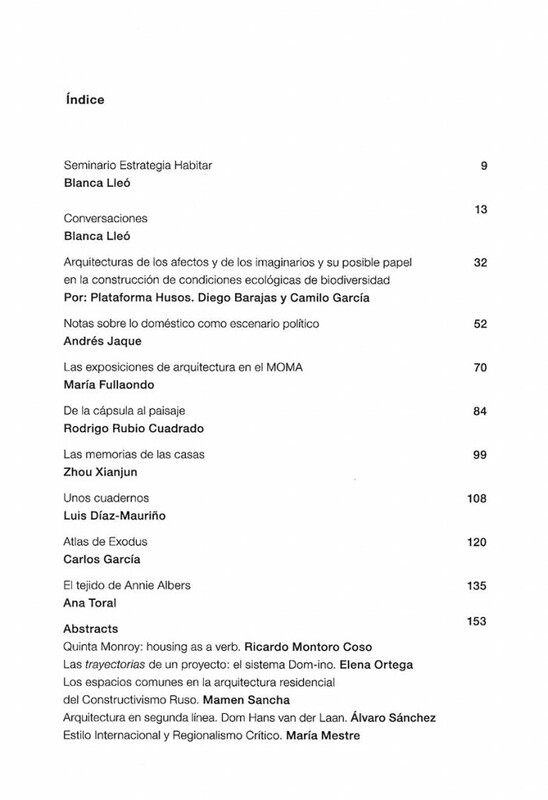 Edited by Nobuko ( Buenos Aires 2012) includes texts Blanca Lleó, Camilo Garcia , Andres Jaque , Maria Fullahondo , Rodrigo Rubio, Zhou Xianjun , Luis Diaz- Maurino , Carlos and Ana Garcia Toral among others. 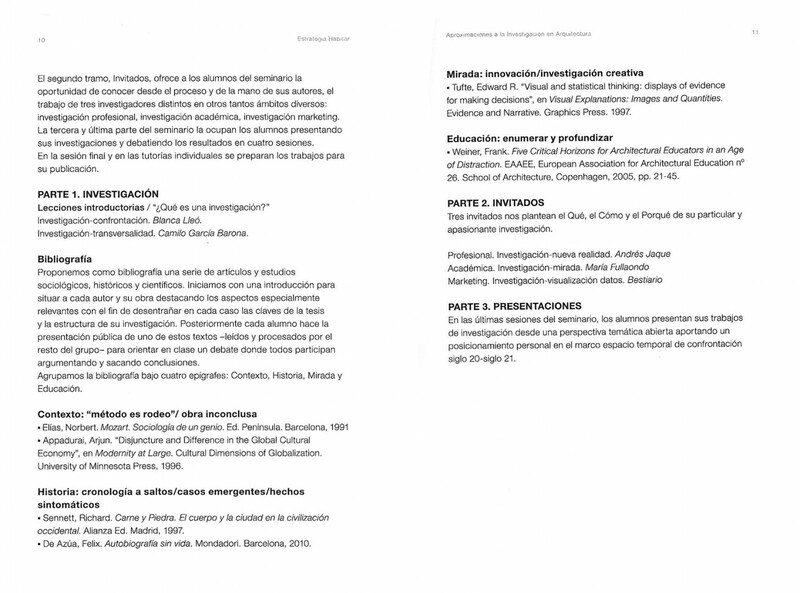 “In our environment, and so exacerbated in recent decades in the field of architecture, has dominated the action over reflection . And now that the feverish activity has ceased entirely , an eerie , expectant paralysis grips architects. definitely going to have to test our ability to think and address ideas uncertainty of the immediate future . The architecture is a mental process : first brick and steel is made of gray matter. That is, of ideas shaped by a creative intelligence . 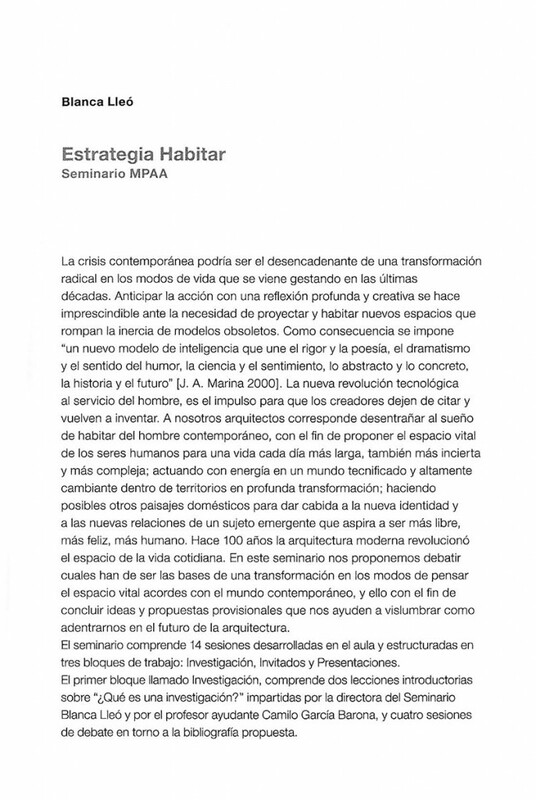 The architecture is much more that is built , it is a strategy that contributes to better inhabit the world .